PRODUCT: 1-1/2 in. 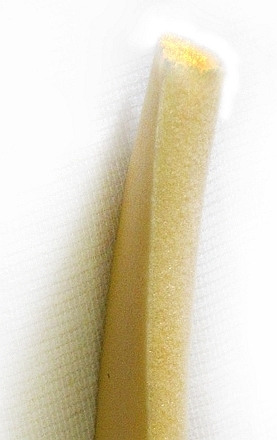 D-SHAPED FOAM BACKER ROD, OPEN CELL YELLOW FOAM. 500'/BALE, 1 BALES/MASTER BAG (500 feet total). PRICE/MASTER BAG. (UPS Shipment only).